And I got one more table finished ahead of the weekend. This one pulls together a series of terrain pieces I've had partly finished. It is built around an Imperial Palace constructed using the Citifight kits. This is supplemented by pieces put together from the 3rd Ed Box Set Gothic Ruins, a Forgeworld Tank Factory and a cathedral from Puppets Wars. 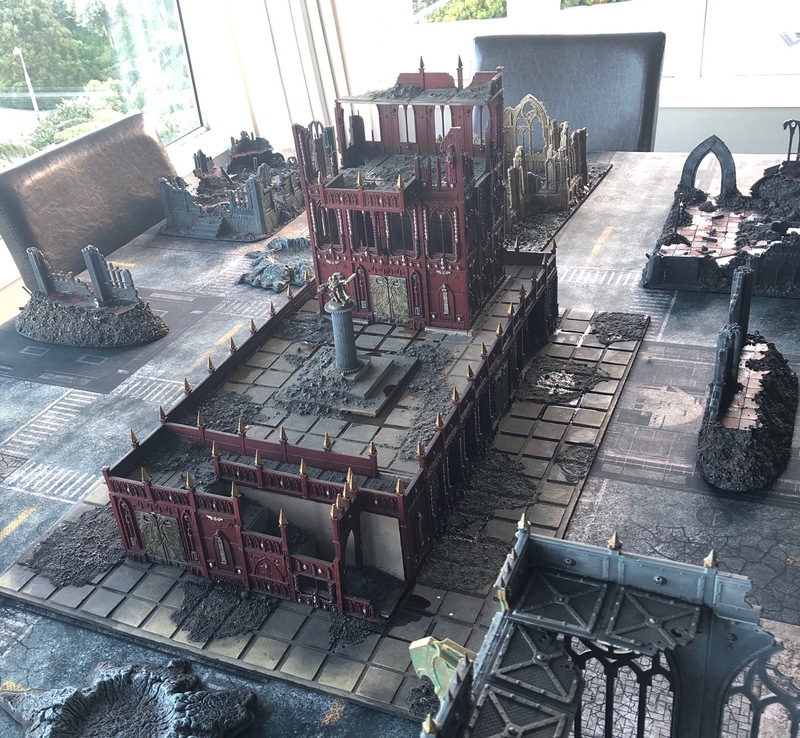 The complementary battlemat is from Frontline Gaming (City 1).